What’s summer without the refreshing taste of a ripe and juicy watermelon? And what better way to enhance that summer time flavor with some refreshing infusions like basil, balsamic vinegar, and vodka? 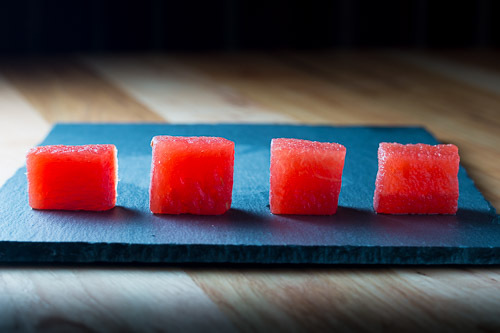 With a few simple ingredients and a chamber vacuum sealer, you can create watermelon cubes that look like translucent jewels and taste and have an amped up flavor. The recipes that follow are versatile so feel free to experiment with whatever you might fancy. All you need is a simple syrup infused with your favorite flavor and you’re good to go. Make several and have your guests try and guess what the mystery infusion is for a fun pre dinner game. Or add these to any watermelon dish for something unexpected. 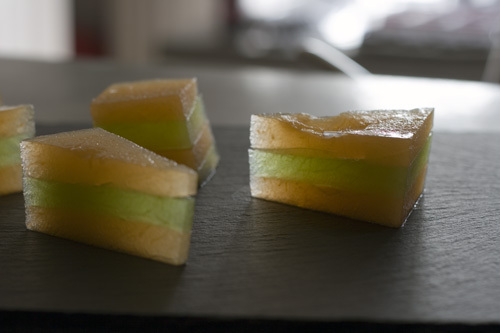 If you want more recipes like this, check out my compressed melon terrine. scale these up and down so that you have enough water to cover all the cubes when vacuum sealed. All three infusions follow the same general pattern of preparation. Allow the mixture to steep while it cools to room temperature. Remove and discard basil if using. 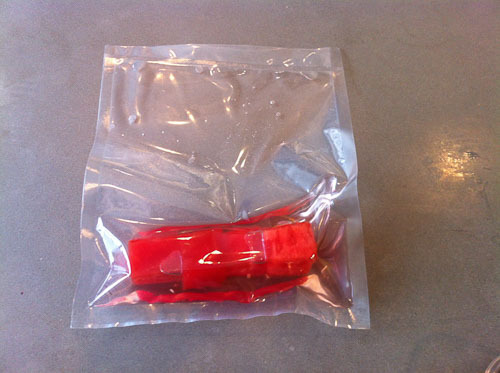 Vacuum seal the watermelon cubes with the infused syrup in a chamber vacuum sealer. Unfortunately the displacement method of air removal is not effective here as you want the vacuum to compress the watermelon while simultaneously driving liquid into the fruit. 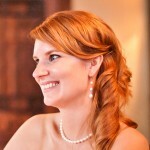 Allow to rest in the refrigerator for at least 20 minutes and up to one day. Want to try something similar? Check out my compressed melon terrine! Unfortunately the displacement method of air removal is not effective *here as you want the vacuum to compress the watermelon while simultaneously driving liquid into the fruit.